Call it Android 3.1, 4.0, or whatever you want. 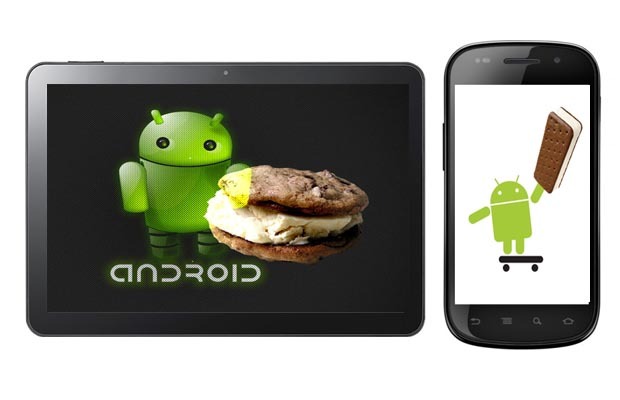 All you need to know is that Google is sweetening its mobile-based platform with the upcoming Ice Cream Sandwich OS. A combination of Gingerbread (2.3) and tablet-only Honeycomb (3.0), this new update is set to introduce a variety of new UI enhancements and killer features that are sure keep Android at the top of the mobile throne going into the holidays, and next year. As new details continue to leak surface going into its projected October/November launch, which “coincidentally” marks the same timeframe as the iPhone 5 release, Google’s making its intentions clearer than Avian: it’s gunning for Apple’s iOS 5. And judging from what’s already been detailed, the Internet goliath is fully loaded for war.But enough talk. 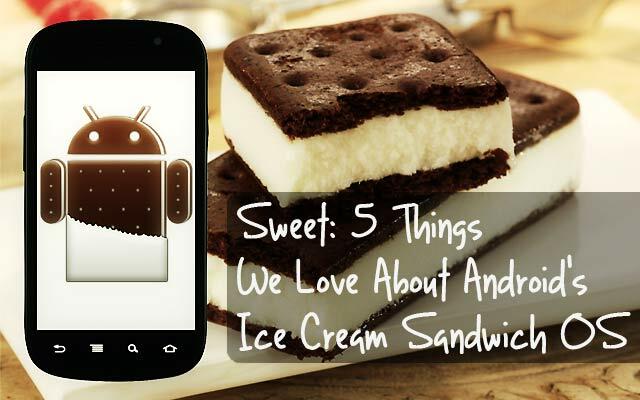 See what new Android-based facets will have you craving for ICS. Google designed ICS to be “the one OS that works everywhere.” In other words, forget using different software on each Android-powered device (smartphones and tablets) and imagine using one operating system for all. ICS integrates a new multi-platform interface that features a more powerful multitasking panel and system manager, along with a new app launcher, app drawer, Google search bar, and endless other updates. This should provide for a much better user- and developer-friendly environment. All ICS phones will come NFC-enabled, giving users the opportunity to wirelessly exchange data with other compatible devices. On top of that, Google’s shopping utility, Google Shopper, is expected to come preinstalled and allow owners to make shopping transactions by scanning their device at retail stores. Scan barcodes or take photos of products to receive detailed descriptions, while getting the best pricing deals steals in your area. Online and in-store shopping just got simpler. 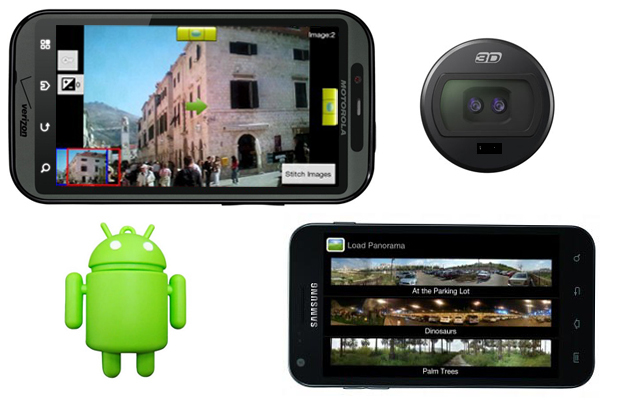 After testing out Sony’s NEX-C3 panoramic shooting mode, we’re dying to see Google’s 3D panoramic camera integration. For now, we can expect to make simple 2D photos more interactive by capturing sweeping-portrait shots that produce third-dimension results. New face detection technology is set to aid video conferencing as well, placing heavy focus on a user’s face during excessive movement. Expect this to be the live-and-die hallmark of all in-group conferences. 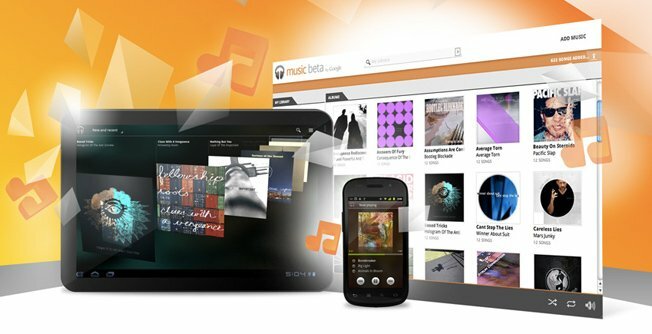 The search engine looks to give iTunes a run for its money with its cloud-based Music Beta service, which allows users to access their personal multimedia library at any time from any device. You’ll also be able to share music and playlists with other Android conformists. 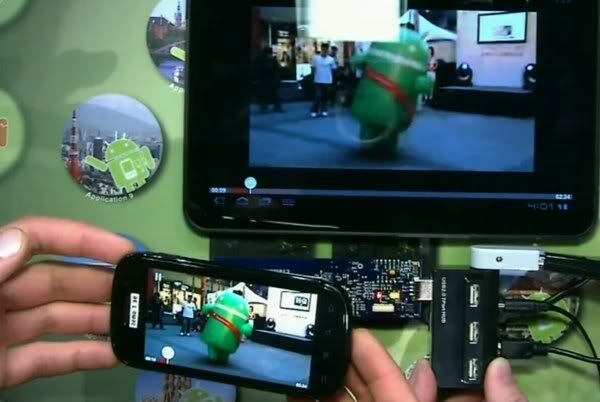 The Android Market is set to offer movies for on-the-go viewing pleasure, too. And with Google TV and Chrome OS being rumored for all ICS devices, Apple users have another reason to envy the industry-leading mobile platform. That is, until we see the undisclosed specs of the iPhone 5. Google plans on turning your smartphone into the ultimate USB hub. 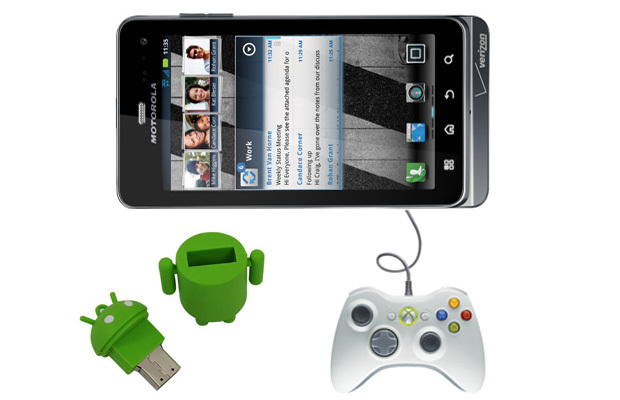 Expect to connect USB-compatible devices such as keyboards, mice, and even next-gen gaming controllers (Xbox 360 ors PS3) to your Android phone. That means playing Android Market titles using any of these compatible accessories. Angry Birds, anyone?